The plight of honeybees is attracting much attention lately. While many fruit and nut producers depend on bees for a successful crop, at the same time sales of honey and bee products are providing income for a growing group of small scale beekeepers as interest in local foods rises. And hobby beekeeping is exploding as people discover the fascinating social structure of bee colonies and the orderly world of the hive. For beekeepers and those who simply wish to support pollinators, there are a number of trees that offer rich stores of nectar and pollen for bees. 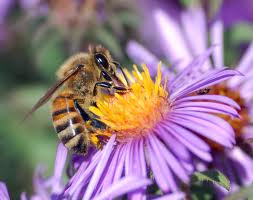 (Pollen is a source of protein for bees.) These plants happen to add beauty to our landscapes as well. So, if you need a tree for your home, why not plant one that is bee friendly? 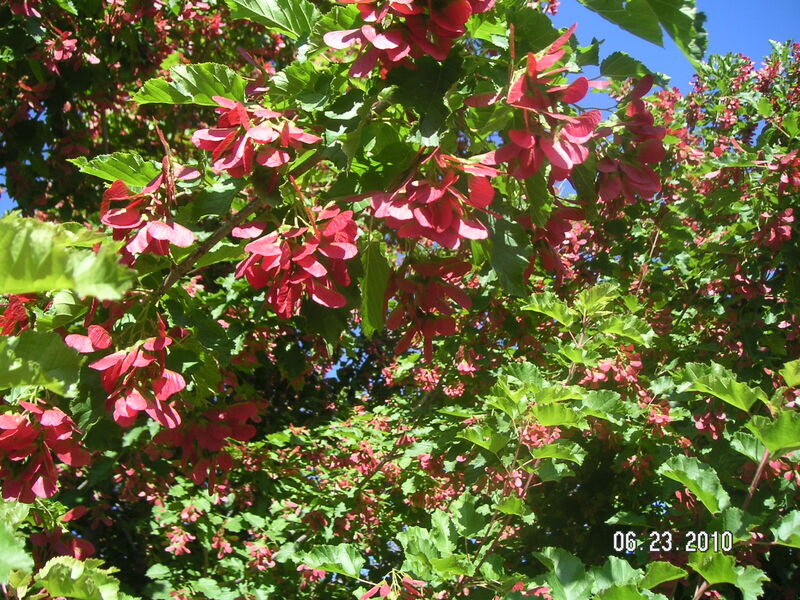 With the assistance of Les Crowder’s Top-Bar Beekeeping (Chelsea Green Publishing), we have compiled a list below of trees that benefit bees and generally work well in New Mexico. Check with your County Extension Agent, master gardeners, or local nursery for best adapted varieties for your elevation and location. Generally natives and native cultivars will work best. And any tree will need supplemental watering for – at least – the first 2-3 years. Be patient and keep in mind the old adage “Sleep, Creep, Leap.” It well-describes the first 3 years of a newly planted tree. Fruit Trees – How great is this? Honeybees love the nectar and pollen while they increase fruit set and we get to enjoy the result! 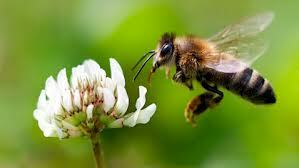 Apples, cherries and plums are especially favored by bees. Be advised that ornamental fruit trees are mostly self-pollinating and are therefore less attractive to honeybees while heirloom or native fruits are very attractive. Willow (Salix sp.) – Many species are New Mexico natives. As early bloomers, willows are very important as a spring source of pollen. Willows have added value for wind and visual screening; basketry material; and some add particular visual interest due to form or bark color. Honey Mesquite (Prosopis glandulosa) – Yes, that one! This bane of ranchers produces some of the best light and fragrant honey on the planet and beautiful, hard wood. As another early source of pollen, the bees really appreciate it. It is a relative of the New Mexico Locust (Robinia neomexicana) and other locust varieties also known to be great bee trees. All are in the pea family, so they fix nitrogen and build soils. Catalpa (Catalpa sp.) – Catalpa trees have very large leaves and have the potential to be large shade trees. While they are great bee trees, they do not typically fare well in the desert Southwest without ongoing supplemental water. And even then they may exhibit defoliation from heat stress. Linden (Tilia sp.) – Lindens bloom in midsummer, so they are an important nectar bridge during the hottest months and may be an emergency food source if spring blooms are lost to late frosts. Makes wonderful rich honey. 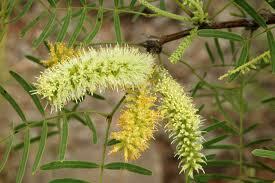 Bee Bee Tree (Tetradium danielli) – The name says it all. Bees LOVE this tree. Another midsummer bloomer, it is also called the Korean Evodia tree. Tatarian Maple (Acer tataricum) – small white flowers attract bees to this small shrubby maple, winged seeds helicopter to the ground a little later. 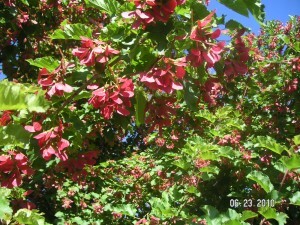 One cultivar in particular (Hotwings®) with red seeds and red fall foliage was developed for alkaline soils of the Rocky Mountain west. Japanese Pagoda (Sophora japonica) – Japanese Pagoda trees are especially valuable to honeybees in mid to late summer when little else is blooming. Profuse white blossoms make it an attractive tree for the home landscape as well. Other trees – Les mentions tulip poplars and ash trees as important additional forage trees for bees. Ask your nurserymen and observe. You may discover others. Let us know!